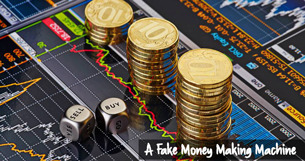 Nowadays a good way to make quick and easy money is through trading. A lot of people have realized that and they have created a software that will guarantee you money. There are too many choices to pick from when it comes to software. We suggest the HBSwiss trading software. I read Audrey Brown’s opinion column in support of Carlos Trujillo’s House Bill 221. And while I agree with her sentiment that surprise bills can be unfair, I must take issue with her factual misstatements and her conclusions. Let’s start where we agree. It is indeed a serious and unfair circumstance when someone with health insurance believes he or she is covered by an insurance policy only to find – by way of a costly bill for medical services – the services provided were not covered. Such a situation is only made worse when someone is in an emergency situation and finding an in-network physician becomes secondary to getting the patient the quality care. As an anesthesiologist who is regularly called into those situations, I know that everyone on the physician side of the equation cares first and foremost about saving lives. The problem comes after-the-fact when an insurer simply either refuses to pay for the care provided to their patient or offers a payment that is far below market value for that service. That becomes compounded when the patient thought they were covered. Unfortunately, those who provided the care are then forced to turn to the unwary patient to cover the cost of providing that care. Just as unfair as the patient not having their coverage fully explained is the insurance company’s arbitrary decision on how much a physician should be paid. That constitutes monopolistic rate setting and a lack of transparency – both practices that should be subject to more scrutiny. And HB 221 only makes the situation worse. The bill basically says that those who provide the care must rely on the sole discretion of the insurance company to pay fair market value for care. (It is important to note that those physicians, for example, are required by law to provide that care, irrespective of coverage.) Invariably, the insurance company inadequately sets the physician payment, and the doctor is put into a “take it or leave it” situation. That’s bad public policy, unfair to patients, and unfair to physicians who provided emergency care. How is that a misrepresentation? The word-for-word language in the proposed bill is nearly identical to the Affordable Care Act. Both HB 221 and Obamacare list (only) three ways a physician can be compensated by an insurance company after providing emergency services. Those three ways are nearly identical in the wording and in reality have the same effect. Beyond the comparison to Obamacare, though, the proposed measure has the net impact of punishing a physician who provided an emergency service while unfairly rewarding the health insurance company that either refused to pay a fair fee for a service or was not forthcoming with its customers. The heart of this matter centers on too-narrow insurance networks and poorly understood insurance plan details, which result in significant gaps in coverage. It is disingenuous to have the physician or hospital who has provided that care make the insurer whole by being forced to accept whatever the insurance company contends is adequate payment. We agree that patients need to be taken out of the middle when it comes to resolving these disputes. We agree that providers who attempt to gouge patients when they are the most vulnerable should be held accountable. At the same time, a reasonable, neutral, and fair payment benchmark should be employed to compensate providers for emergency care provided by out-of-network providers. Physicians stand ready with solutions to work with Representative Trujillo to solve this problem for the good of all Floridians whom we have taken the Hippocratic Oath to protect. Ms. Brown was correct in noting that medical bills resulting from gaps in insurance coverage are unfair for patients. Changing Florida law to require those who provide life-saving emergency services to pick up the tab, while the insurance companies skirt their responsibility, can be considered a cure far worse than the disease. Dr. Jonathan H. Slonin is president of the Florida Society of Anesthesiologists. He can be reached at jslonin@gmail.com. Column courtesy of Context Florida.